Enlarged or prominent ears can be a source of deep anxiety for children and adults. Once the ears are fully formed, their appearance will change very little throughout life. Overly large ears can affect the balance of your facial features. Ear deformities can be the result of genetics or injury to the ears. 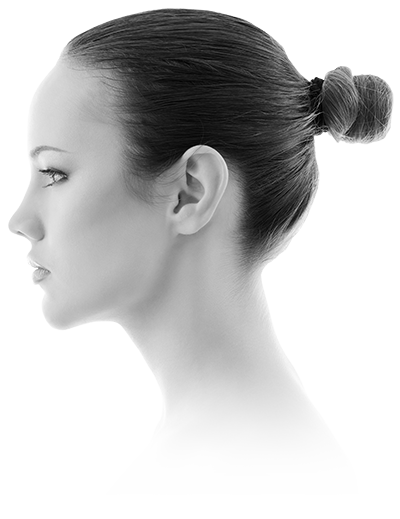 Otoplasty is designed to reshape and improve the appearance of overly large or prominent ears. Overly large ears are characterized by an ear length that is disproportionate to the rest of the facial features. The length of your ears is measured from the top of the helix down to the earlobe. To correct overly large ears, cartilage in the upper ear is removed or reshaped. Shortening the length of the ears helps restore your overall facial balance and can relieve anxiety in both children and adults. Protruding ears are caused by an excess of cartilage behind the ear that causes the ears to distinctly stick out from the sides of your head. To make the ears lay flatter, a wedge of cartilage is removed from the back of the ear. The process of closing the incision pulls the whole ear structure closer to the head. Improving the appearance of protruding ears can help prevent or alleviate social ridicule that children and adults may face. Dr. Dubrow is renowned for being a revision plastic surgeon. If you have undergone a previous otoplasty procedure and didn’t achieve the result you desired, a correction surgery may be necessary. Revision surgeries are more difficult and require a higher skill level because cartilage from the ear has already been removed. Dr. Dubrow may remove more cartilage or replace some of the lost cartilage to reshape the ear for an improved appearance. Otoplasty is performed in Dr. Dubrow’s state-of-the-art facility with the patient under either local or general anesthesia. The type of anesthesia used during your surgery will depend on age, extent of correction, and personal preference. How old does my child have to be to undergo ear correction? Otoplasty should only be performed on patients whose ears have fully developed. This usually occurs between five and seven years of age. Dr. Dubrow will decide if your child is a good candidate during the consultation. How long will the recovery process last? Patients may experience some minor swelling following their procedure. Bandages will be worn for several days. Most patients can return to work within a week of surgery and can resume their regular physical activities after two weeks. Yes; otoplasty is designed to provide life-long correction to the appearance of the ears. As long as it is performed on children whose ears have finished developing, their results will last them into adulthood. All incisions are created either behind the ear or in the natural folds of the ear. In most cases, there is no visible scarring.